How I Use This Cool Veggie Spiralizer by Brieftons - and GIVEAWAY! Do you need more veggies in your life? I know I DO!!!! I am gluten free, and try to eat as close to Paleo as possible. Which means a lot of healthy saturated fats, healthy meats and tons of vegetables! I love pasta (sauce more than the noodles... yes, I use twice as much sauce as everyone else). And so this is a great tool to use if you want to avoid those yucky gluten free noodles and use zucchini instead. Briefton's offers a FREE RECIPE BOOK (just click here) and are also letting me give one of their spiralizers away to one of my readers. Scroll down to enter the giveaway. It is 100% BPA-free, and made from food-safe, durable reinforced ABS plastic. You can buy it here on Amazon or click the image below. I have not used it for anything except zucchini so far, but it was simple to use, QUICK, and safe from clumsy kitchen hands... no sharp blades are exposed. It is even safe for kids! This patented product is perfect for making long vegetable strands for low carb, gluten free, Paleo style healthy vegetable meals quickly. It is ideal for making spiral slices from firm fruits and vegetables like apples, onions, carrots, zucchinis, cucumbers, cabbages, beetroots, turnips, rutabagas, cucumbers, large radishes, potatoes, sweet potatoes, squashes, and many more. Works great even for long and wide vegetables. Make professional-looking garnishes, apple chips, curly fries, onion rings, potato nests, elegant salads, vegetable pizza toppings, and so much more. This makes a GREAT CHRISTMAS GIFT -- and we are giving one away. So enter to win below!! The giveaway ends December 5th, and the winner will be contacted via email by December 7th. My husband LOVES to sleep with a fan blowing on him most of the time. I have hated the noisy standing fans that we have had in the past, so when I received this new fan that is SILENT I was ecstatic. It has some type of noise cancelling technology that is SUPER quiet! Now, while this is a great fan, we probably won't be using it much in the winter time. But starting in the Spring, my husband will be using it every day. Overall, this is a very high quality fan and I expect it to last years. You can buy it here and at the Amazon link below. Now through Monday you can get 30% off the detox foot pads -- the largest discount EVER!! These make amazing stocking stuffers and great gifts for your family members who are looking to get their health back. Use coupon code CYBERMONDAY at checkout. My New Favorite Cookware - Ceramic! It seems everything causes cancer or disease these days -- the off-gassing of new carpet and furniture, radon in the walls of our homes, flame retardant on clothes and mattresses, the non-stick coating on Teflon; the leeching of aluminum into our food. It seems impossible to live in a toxic-free home, much less cook and prepare meals without killing our family! Well, here is one easy change to make, and it is very reasonably priced, too! The Green Earth ceramic frying pan, by Ozeri company makes high end (but reasonably priced) kitchenware. This frying pan is scratch resistant (super important because I LOVE using metal cooking utensils!) and it utilizes GREBLON - an ultra-safe ceramic coating from Germany which is 100% PTFE and PFOA free. The innovative textured pan surface delivers even heat distribution and excellent non-stick cooking, without ever releasing harmful fumes or toxins. This 8" pan is great for omelets or fried eggs, or grilling sandwiches one at a time. It is a bit too small to make multiple pancakes at once but would be great for making a giant pancake for that special someone! I also have a larger flat ceramic grilling pan with the ridges in it, and I can make 4 grilled cheese sandwiches at a time, or I can cook bacon on it, or even pancakes or french toast. I LOVE how the ceramic pans are non-stick. They really are! And of course, one way to remove the toxins from your body if you are unable to live perfectly in a bubble (which none of us are!) is to use my detox foot pads and pull those toxins out! A Must-Have for Parents and Grandparents and Favorite Aunts! I have 11 nieces and nephews that are school age or younger (and then another 12 that are middle school age or older). That is a LOT of kids wanting to play with their favorite aunt's cell phone! So, when I saw this opportunity to review the O SmartBall, I jumped on it. Sounds pretty cool, right? I can protect my $400 phone but yet still have my place as favorite aunt, entertain the kids and let them use my phone to play games and apps. And, I get bonus points from my siblings if the games are educational! So, what you do is put the cell phone inside this ball, and it protects it from the dangers of life with kids. Dropping it? No worries, your cell phone is protected. It is a safe way for kids to play without harming your phone. You can download apps for the O SmartBall, just go to Google Play (on an Android device) or App store (on iOS) and you can get the ones appropriate for your child. (Most of the apps are free). A few pointers: I don't think that it is appropriate for kids under 3 years old. My 19 month old niece was more interested in the ball itself, than playing the apps on the phone. I would say pre-school age and above would be great. I started using this TENS unit that I received from Santamedical. I did not know what to expect because I didn't realize it was the same type of device (same concept) as what you would get at the chiropractor for "electric stim" therapy. But it is! Except in a convenient personal size (about the size of a TV remote instead of a box the size of a bread machine that you see at the chiropractic clinic). My husband and I have been fighting over it ever since we got it. Ok, let me re-phrase that. My husband and I have been nicely taking turns using it on all the parts of our body that ache! He has been using it on his lower back and his elbow. I have used it on my hips (bursa) and also my lower back and SI joint. This DOES give me some pain relief. I did not expect it to give such amazing relief. But, I read that you are not supposed to use it all day long so I am limiting myself to 30 minutes each area. What is it? It is a little remote-sized device that hooks (via wires) to 4 little electrodes (I am making terminology up so just go with the flow here). These electrodes are about an inch and a half squared, and are sticky. But they don't have adhesive on. You stick them on to your skin without using any type of gel or adhesive, so that is kinda cool! Then, you use the controller to select the program based on the location. There are two sets of two electrodes, so you can set them to different intensities, between 1-10. So, how does it work? 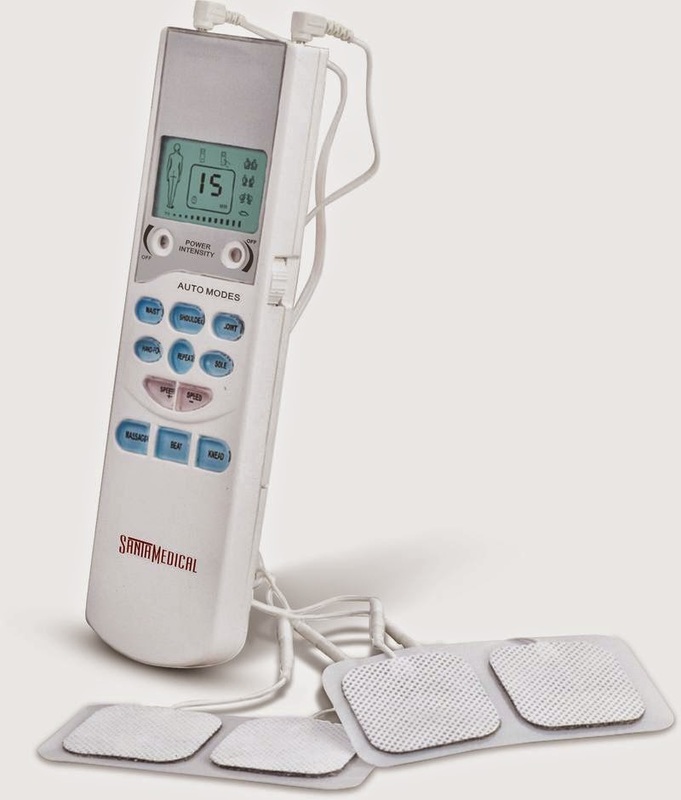 Scientists believe that TENS units helps with pain control in two ways. First of all, your nerves are stimulated to send signals to your brain that interfere with the pain signals. Secondly, TENS encourages your body to produce endorphins, which are hormones that block pain naturally. Since I am not one to use pain meds even though my bursitis and arthritis is extreme, I am in pain a lot. This definitely has made a difference in my pain levels, and it works instantly. The pain relief doesn't last... maybe after 3 hours it starts to come back. But I am not complaining, I think that is awesome! Someone told me that after prolonged, consistent use (every day for a few weeks) the pain relief starts to last longer and long. I sure hope so!! 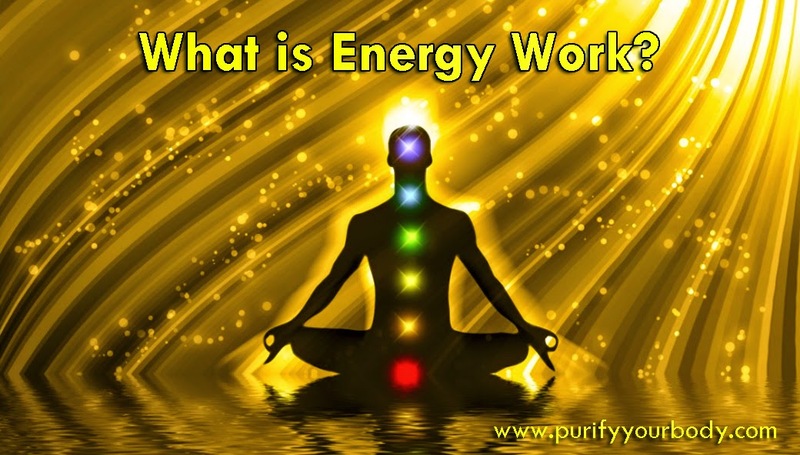 Energy Work -- What is it Exactly? I don't quite understand how energy healing works. But I do know that it works for many people for many ailments. It does have limitations, for example, if you break your arm it cannot heal your arm, but it can help relax your stress levels so that your body can heal quicker. I know that when my dog is near me, I feel calm and relaxed. When my cat cuddles up to me with her big purr, I can feel my stress levels go down by a few notches. And since I am a notorious stressball, these things help me more than words can describe. I think this is a type of energy healing that happens between my beloved pets and myself. If it makes you feel uncomfortable, don't do it. There have been times when the prospect has made me feel uncomfortable, whether it was because of the modality, my frame of mind, or the practitioner, so I just passed on it and didn't proceed. Other times it seems my body is craving something beyond the physical. I don't understand how it can be done from a distance, either. But I know that people have had success with that as well. And I am a Christian -- LDS, in fact. And being Mormon, I also know quite a few very nice, devout Mormon people who practice energy healing and consider themselves "light workers". They make a difference for a lot of people. Many of these folks don't charge a lot for this energy work. My current chiropractor also does energy work on me when he gives me an adjustment. It is the weirdest thing -- I have never had anything work so well before -- almost instant relief! Not where I usually get super sore and the adjustment hurts. My neck and vertebrae fall into adjustment almost immediately. Do you have aches and pains, maybe you have eczema, a child with bed wetting issues or whatever it maybe. This Package will start you on your journey to helping your body become more balanced. Body Code Evaluation - shows us the basic unbalances that need the most attention right now. So I was able to get all of those things done. When completed, Emily was able to identify that my body was fighting a bacterial infection and a toxin that I was exposed to back when I was young. She said she was able to clear that energy from me. (I had a swollen lymph node in my armpit so I know my body was fighting something off! It is gone now). She starts off by asking God and Angels for guidance in the session. Then she energetically connected with me to muscle test the questions to find out what is going on. She has some tools to be able to help with this. There are computer programs and devices that also can help with this. With the law of attraction exercise I got to create an affirmation to tell my body. My affirmation has to do with my adrenals and my thyroid functioning perfectly to the benefit of my body. Then, the Quantum Touch session was completed. She sent positive energy focusing on my desired outcome (the affirmation from the law of attraction exercise) to create better health. Honestly, I know that energy healing works. I don't understand how it works. I know we are all made up of energy and frequencies, and sometimes illness and disease can stem from emotional trauma, emotional imbalances and emotional blocks. As long as we recognize that not all illness can be fixed with energy work, I think we should all explore this modality and see what results we get. Most of our population is deficient in magnesium - in fact, according to Wikipedia, at least 57% of our US population is deficient in magnesium. Holy buckets! Magnesium helps with muscle cramps, insomnia, restless leg syndrome, PMS, migraines, stress and more. It is especially helpful for women during their cycle -- and one of the first things I recommend to people who get migraines or have insomnia. 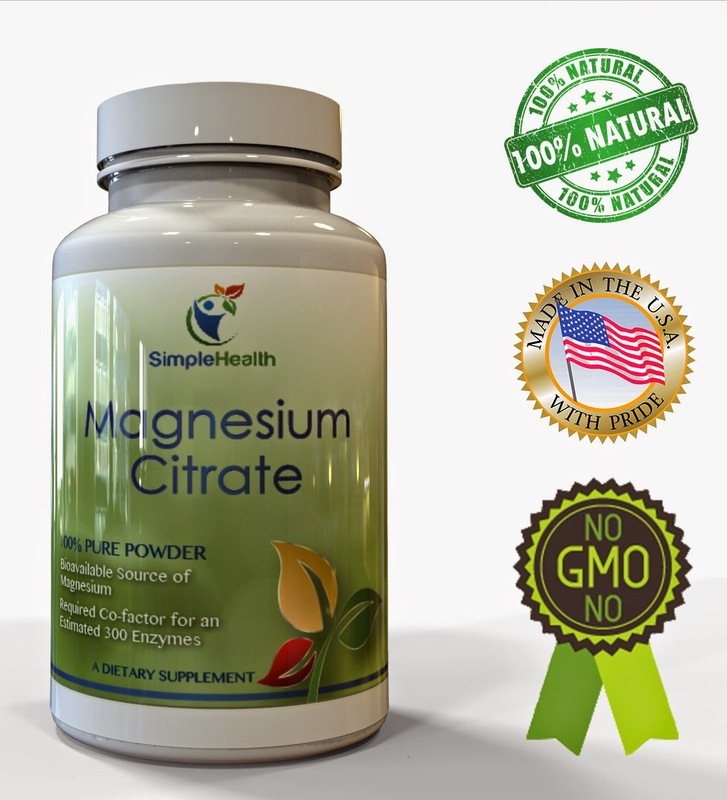 So, I was able to get a sample of this magnesium citrate and honest to goodness, I thought it was going to be in pill form! I prefer pill form, although that is not usually the best way to take supplements. Instead, this was powder. I dreaded taking it at first because I have Natural Calm and another calcium/magnesium supplement that taste like bile. Very hard for me to drink that stuff. But, I am a trooper and decided to try this. And I did, and it is TASTELESS! YAY!! I was so worried I was going to have to write how bad it tasted, how I gagged and couldn't take it. But no, this is a breeze to take. 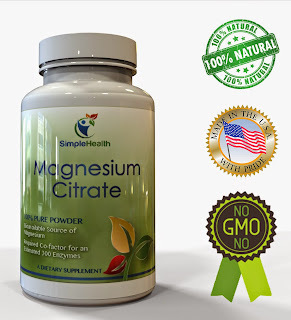 Magnesium citrate is the preferred brand of magnesium, it is more bio available to your body than other forms. Go ahead and add this to your list to supplement with!